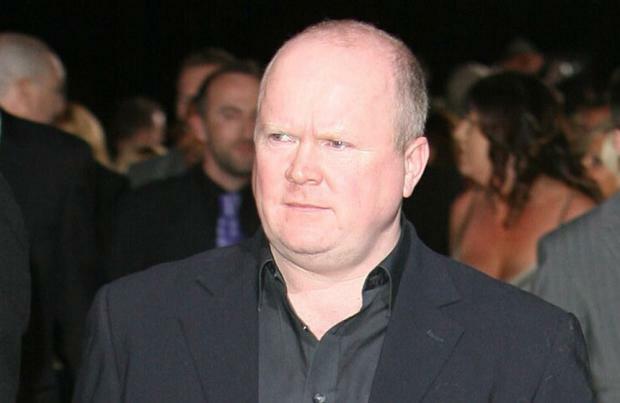 Steve McFadden feels like he's in "prison" when he plays Phil Mitchell in 'EastEnders'. The 58-year-old actor has been playing the recovering alcohol and former bad boy on and off for 27 years and, during that time has been involved in some of the soap's most memorable storylines, so it's hardly surprising that he finds his alter ego tiring and has decided to take on the role of Captain Hook in a pantomime production in Plymouth. Speaking to The Sun newspaper, he said: "It takes me out of my comfort zone and allows me to break out of the prison cell that is Phil Mitchell. "f you think about the alcoholism storyline, the crack storyline, the dying storyline, the liver failure, they don't stop pressing the button on Phil." But, even though he finds some of the plots draining, he doesn't regret joining the long-running soap and is thrilled that he's had the chance to work with some "great actors." He said: "I was at drama school with Ralph Fiennes, Iain Glen, Imogen Stubbs, Cliver Owen, Paul Rhys... some great actors. The door opens on TV, you walk through it and 27 years later, you find yourself in Plymouth eating pasties." And Steve's work schedule is set to get even more hectic over the next few months as his alter-ego's former cell mate Aidan Maguire - played by Patrick Bergin - will turn up over the festive season and the pair will embark on a series of shady ventures. The show's executive producer John Yorke said: "'EastEnders' deserves the very best and in Patrick we are absolutely privileged to have a truly great actor join the show. "It's a huge honour to have him on board, where he'll be working hand in hand with Phil Mitchell and Mick Carter (played by Danny Dyer) to carry a truly explosive storyline for Christmas and New Year. We can't wait to get started."